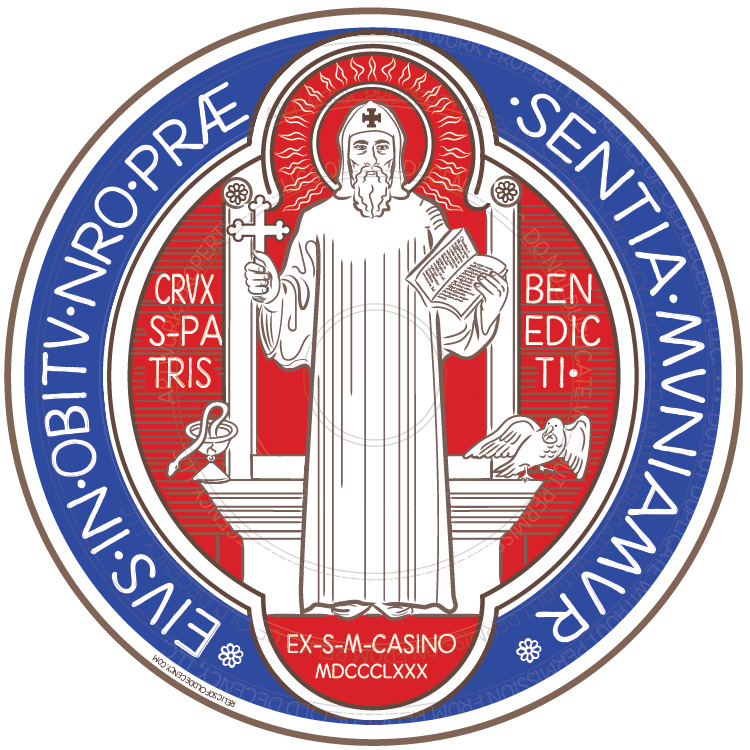 Beautiful St. Benedict Medal Magnet. 5.5 inch round heavy duty car magnet. Sticks to any iron metal car or object. This side of the medal bears an image of St. Benedict, holding a cross in the right hand and the Holy Rule in the left. On the one side of the image is a cup, on the other a raven, and above the cup and the raven are inscribed the words: “Crux Sancti Patris Benedicti” (Cross of the Holy Father Benedict). Round the margin of the medal stands the legend “Ejus in obitu nostro praesentia muniamus” (May we at our death be fortified by his presence).